Learning the basics is vital in mastering SEO. The beauty of on page SEO is that you can do it once and it can last for the life of your website. That makes it doubly important for you to get it right first time, so that you can forget about it, let it do its job and concentrate on your off page SEO, which is more time consuming. Below we take you through what you need to know. On page SEO essentially tells the search engines what’s on your website pages. You are making it easy for the search engine web crawlers to find and index your pages and associate them with the right keywords, so that you have a good chance of being listed high in the search results for those keywords. That brings you traffic and, hopefully, sales. That’s why it’s important. Now what is the right way to go about it? 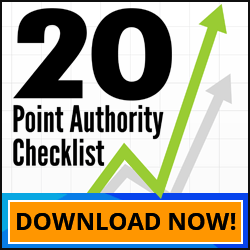 It’s fundamental to the success of your business to know what you want to be ranked at the top of the search results for. Everything starts from there – get into the mind of your ideal customer, who will type in a search term; your on-page SEO efforts are geared towards making your page number 1 in the search results for that and similar terms he/she may enter. For example we want to be top for “Melbourne SEO services”…type it into Google and you’ll see where we rank! 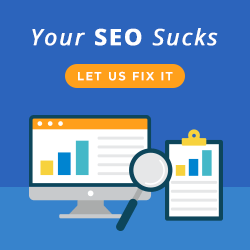 Part of the reason why we’re there is because we’ve spent time getting our on page SEO right. Every page on your site should have a separate and well written title. If you go to Google search results for a popular search term you will see blue-coloured links listed, which are the titles of the web pages in question. With page titles being featured so prominently in search results it’s important that you write them well, including a keyword you are targeting. Our home title page is “#1 Melbourne SEO Services Company” which includes our company name and keyword. These are the descriptive texts listed underneath the blue title page links in search engine results. They should be well-written, keyword rich and no more than 160 characters long. Again, we have spent time to think about what people wanting SEO services want to read – being at Number 1 on Google is everybody’s SEO dream, so including this in the description increases the likelihood of them clicking on our link. On page SEO, when done correctly, sells your website even before anyone visits; and then, once it’s up, it can continue to work for you until you change your website. So it’s well worth putting time and effort into. We’ll give you some more tips in Part 2 of this post. In addition to these SEO tips, there’s a whole host of great information in the Competition Crusher workshop, if you are starting an online business. Simply click here to learn more about it. Want to learn how to do SEO right? Visit our SEO company Melbourne today. I can’t stress how important on page SEO is. I have a page in one of my other blogs that just jumped to the first spot this week for a search term. It was nowhere near there last month. I tweaked the tags and all of a sudden I hopped onto the first spot. This is of course for a low competition keyword with moderate search volume. Nonetheless, this shows there’s value to on page SEO.